Oh, hi there! Didn’t I just post one of these a few minutes ago? Why, yes I did! I’m all caught up now. Hurrah! Day 29: Last Long Run Before Race Day There are a number of happy things about this run. 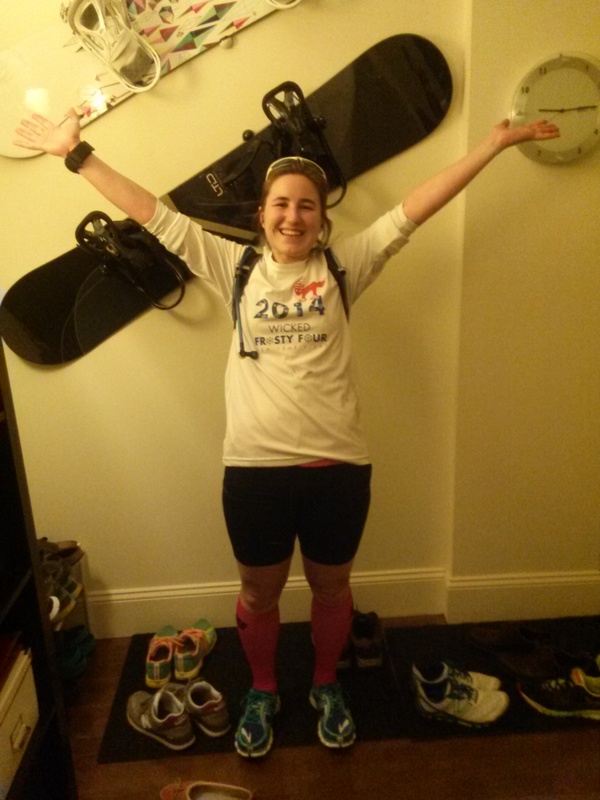 First, that I made it through training, and the race is coming up! Second, that I felt strong and semi-speedy on the run; my goal time is looking like a possibility. And third, it was a beautiful day. 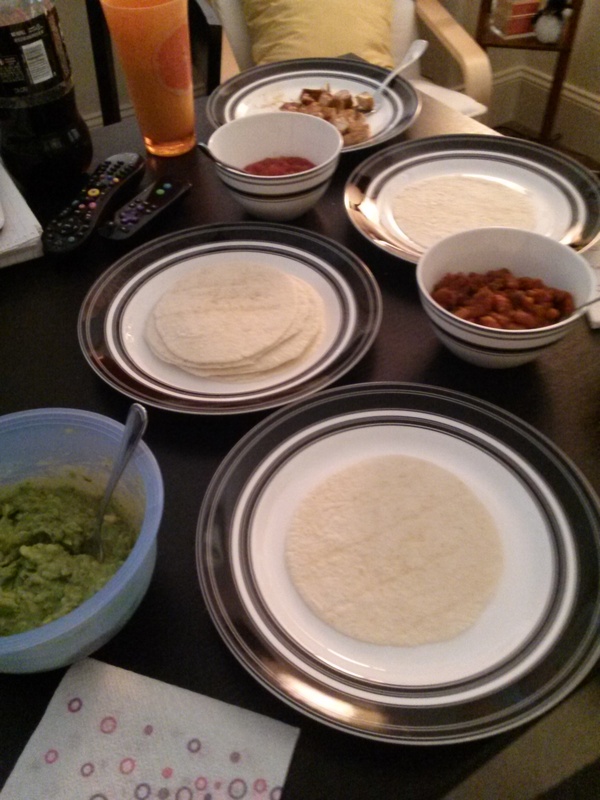 Day 30: Taco Night. Tacos make Sunday night something to look forward to. They’re so good. 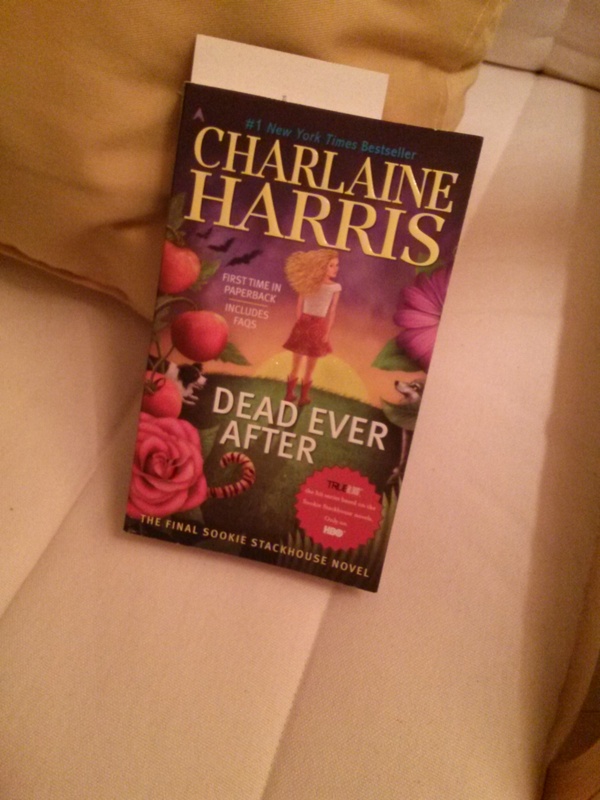 Day 31: Last Book in the Series The Sookie Stackhouse series has ended, and after years of reading, I’m finding out how it all comes to a close! Day 32: A Journey of Games At first, I wanted to cook every recipe in our Whoopie Pie cookbook, but Jeff correctly pointed out that we do not need to eat 30+ Whoopie Pies every week for the next 49 weeks. 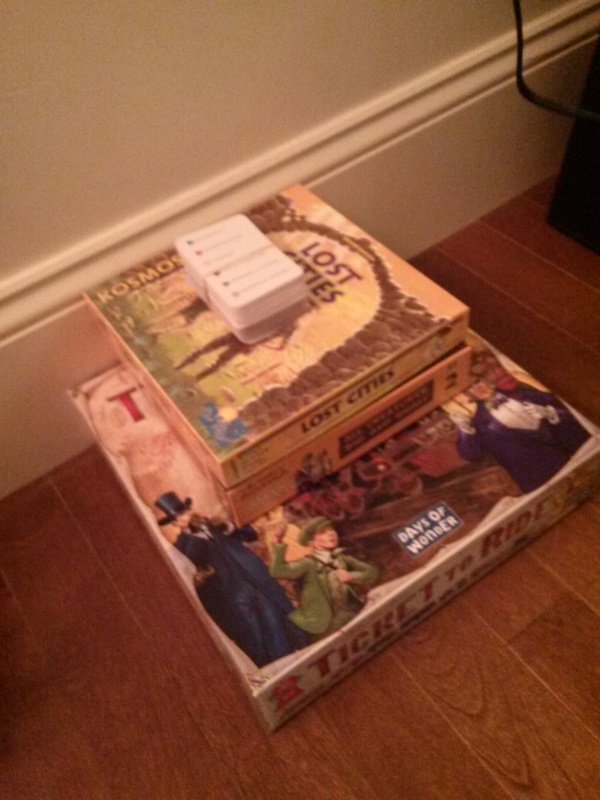 Instead, we’re going to play every game in our game closet. We also have a fun spreadsheet to evaluate them and keep notes and important information (like number of players). 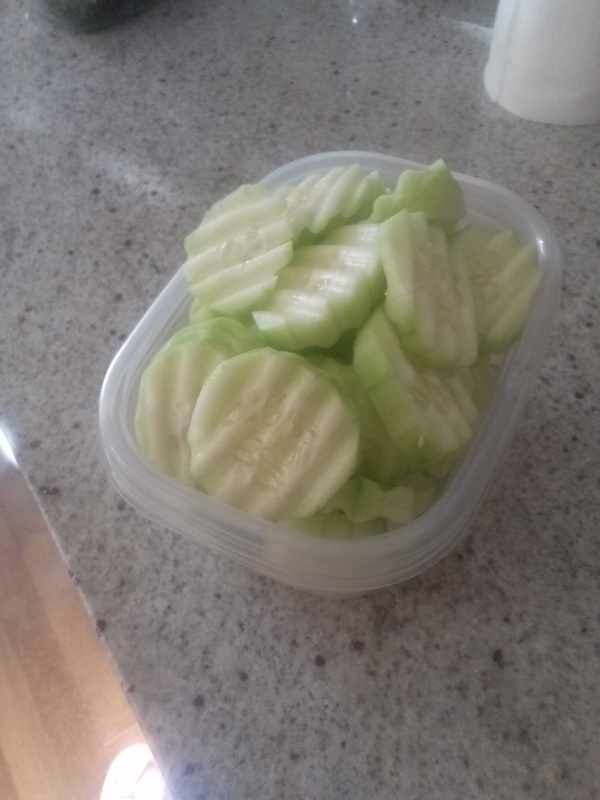 Day 33: Crinkle Cut Cucumbers I have a knife that cuts things all crinkly. This is very unnecessary, but fun! Day 34: Lunch Adventure with Christine It’s always a good time having lunch with a friend. 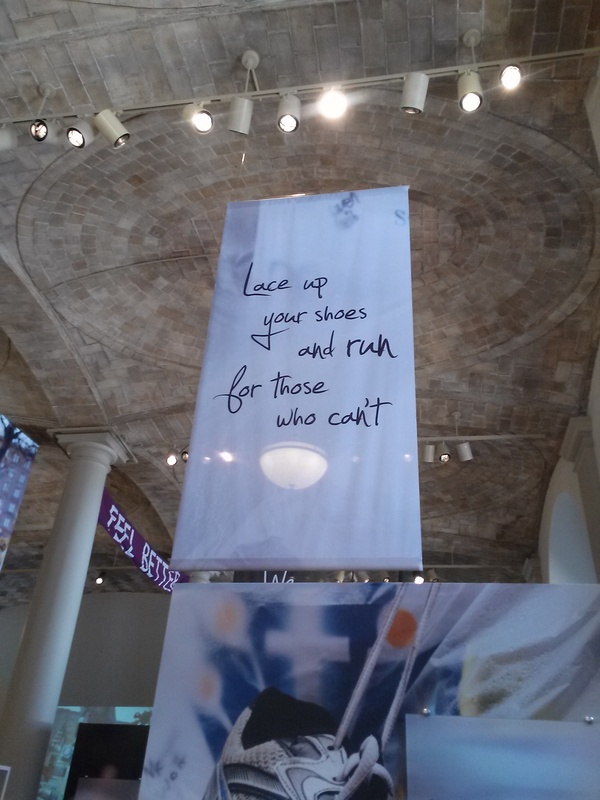 We went to the “Dear Boston” Marathon Memorial exhibit at the Library after enjoying some fast food mexican at Qdoba. Yum! 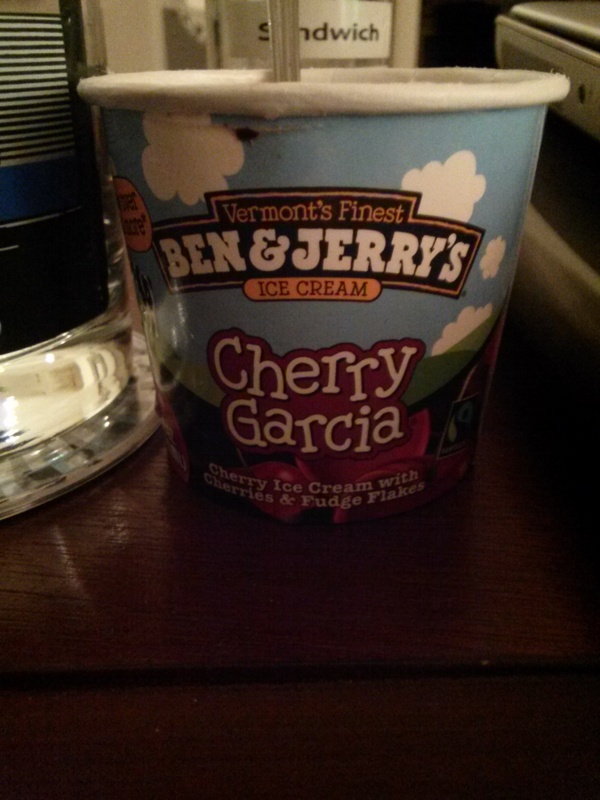 Day 35: Friday night Ben & Jerry’s Although I think it would be terrific to eat an entire pint of Ben & Jerry’s every single night, deep down I know that I would probably feel terrible if I did that. Instead, I look forward to getting a special dessert on some most Friday nights, and the infrequency makes it taste even more delicious. There you have it, I’ll try to keep it together from now on. 🙂 Happy Easter! They are so unnecessary, but they do make me smile.